The hotel is set amid 1065 acres of rolling English countryside including a 50 acre lake landscaped by Capability Brown. 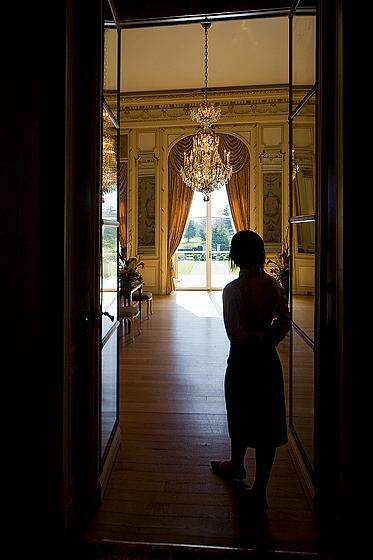 Luton Hoo is known to have been the second most expensive scheme of Brown s career only his work at Blenheim Palace in Oxfordshire cost more to complete.In 1947 the present Queen Elizabeth and newly wed husband Prince Phillip spent part of their honeymoon at Luton Hoo as personal friends of Lady Zia. The rooms in which they stayed are now called The Queen Elizabeth suite with commanding views eastward towards the lake. Flower Garden Duluxe rooms are situated adjacent to the old stable courtyard. Spacious accommodation with views over the reinstated flower garden or golf course. Flower Garden Executive rooms are situated adjacent to the old stable courtyar. Spacious accommodation with views over the reinstated flower garden or golf course. Flower Garden Suites are situted adjacent to the old stable courtyard and spa and are perfectly located for using the Spa or Golf Course. These rooms have spacious accommodation with views over the reinstated garden or golf course. Mansion Deluxe bedrooms are situated in the Mansion House.Spacious rooms with breathtaking views over the surrounding gardens and English parklands. Mansion Master Suites are situated in the Mansion House.Spacious 1 roomed suites with views over the gardens.Rooms will have period features and four-poster beds. All requests to be made at time of booking. Mansion State Suites are situated in our Mansion House. These rooms have had very little alteration so guests will be following in the footsteps of former owners and Queen Elizabeth. With original period features. Silk lined or paneled walls and roll top baths. These suites are bright and spacious and have separate lounge areas. They have views over the rolling countryside and gardens. Mansion Suites are situated in our Mansion House. They are large, spacious rooms styled in keeping with the original decoration found in the house with views over the gardens. Some rooms may have original period features. Parkland Deluxe Bedrooms are situated in our parkland adjacent to the Mansion House and have views over the park and woodland. Parkland Executive rooms are spacious and situated in our parkland wing adjacent to the Mansion House and connected by a covered pergola. Rooms will have views over the parkland. These suites and studios are situated in the parkland wing of the hotel which is adjacent to the Mansion through a covered pergola. These rooms have views overlooking parkland and woodland. The Adams Brasserie - Housed in the Historic Stables Building designed by Robert Adams will be offering a slightly more informal style of dining with no less then five star cuisine and service. The Wernher Restaurant Formerly the State Dining room Fine Dining Restaurant named after Luton Hoo s most distinguished former owners. Set in the Mansion House.